Nose: Sharp and sweet, with a strong floral character that swirls with hints of mint, rich tobacco leaf and vanilla. A touch of oak and pine provides a strong underpinning. 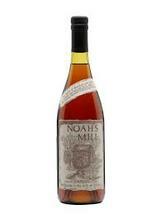 Taste: Sharp at first, but softens quickly, with hints of oak, sweet corn and rye grain character. Spicy, with soft vanilla and light orange notes. Finish: Long, warm and slightly drying. Nice level of sweetness. This tawny Bourbon has a rich, spiced scent reminiscent of fruitcake. On the palate, look for caramel studded with dried cherry, orange peel and clove, finishing quite dry. A great profile for classic cocktails, and not too precious to mix.